Dr. Maci Paden is locally grown! A long-time resident of the Kitsap Peninsula, she grew up in Port Orchard and attended South Kitsap High. She was active in her local 4-H and Washington State Horseman's Association, and competed at the local saddle clubs with her horses. Dr. Paden studied at Washington State University and completed a degree in Bioengineering. She worked with a group of renowned cardiovascular engineers at WSU before finishing her Doctorate in Veterinary Medicine and Surgery. Dr. Paden lives in Port Orchard with her husband, Ian and two sons, Miles and Reed. She continues to be active in her local riding clubs, and enjoys dressage, jumping, and trail riding. Dr. Paden has extensive experience with both small and large animals. She has traveled around the world to train at some of the most prestigious veterinary hospitals and attend seminars on the latest veterinary technologies. Her veterinary career has included private practice, rural area veterinary services, public health with the USDA, and medical research and academia. Dr. Paden is also active with the Lower Puget Sound Dressage Club, Kitsap Humane Society, local 4-H chapters and animal rescue organizations, Corey's Day on the Farm Thunderbird Rodeo, and Kitsap Fair & Stampede. 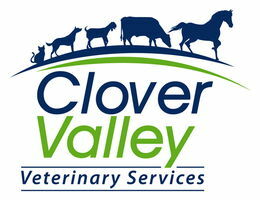 She is a member of the Washington State Veterinary Medical Association, the American Veterinary Medical Association, the American Association of Equine Practitioners, and the American Association of Small Ruminant Practitioners.